After more than 20 years of consistently pushing for the construction of a waste incinerator in Zagreb, the City Assembly last week made a decision to fought back to the public’s resistance and kick off this damaging project from the Zagreb Spatial Plan! “We welcome this decision! Extensive attempts to build a waste incinerator are the main cause of many waste problems that affected citizens of Zagreb for years. After more than 27 years of our campaign against the waste incineration in Zagreb, city authorities finally fought back to the public’s resistance. 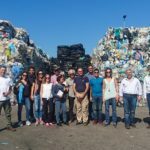 This is a very important step forward in the chaotic waste management system in Zagreb which is the worst capital in Europe in terms of separate collection and recycling. This is also an important day for Zelena akcija / Friends of the Earth Croatia because our long-term endurance paid off and finally proved that we were right from the beginning”, said Marko Košak from Zelena akcija. The throw-out of the waste incinerator from Zagreb’s Spatial Plan is a logical step since it does not have a legal basis in the National Waste Management Plan which does not foresee its construction and due to the high waste separation and recycling targets that Zagreb has to fulfil, on which we are warning of for years. However, the incinerator is still contained in the General Urban Planning Plan of Zagreb, and Zagreb has no valid Waste Management Plan, so we will see if the city representatives will be consistent with yesterday’s decision to stop pushing for the incinerator. 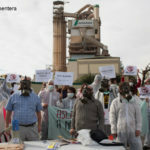 Poor and inadequate waste separation system, unfair payment method, numerous illegal landfills and inappropriate disposal of waste at the Jakuševac landfill are just some of the many problems that arise due to the persistent desire to build a incinerator. We are sorry that city authorities ignored the waste management system for so many years. We invite them to convene an urgent session of the City Assembly to discuss these problems together with experts and NGO’s and to propose quality solutions as a basis for the creation of a quality Waste Management Plan in Zagreb. “Apart from the Spatial Plan, the waste incinerator needs to be urgently kicked out from other spatial planning documents in Zagreb and a new waste management plan that will establish a quality waste separation, recycling and composting system tailored to citizens and in the function of environmental protection must be created. All city representatives voted unanimously against the incinerator in the Spatial Plan, so we expect that such consensus will be reached in the next important decisions on the waste management system in Zagreb”, concludes Marko Košak, Program Manager for Waste Management in Zelena akcija.